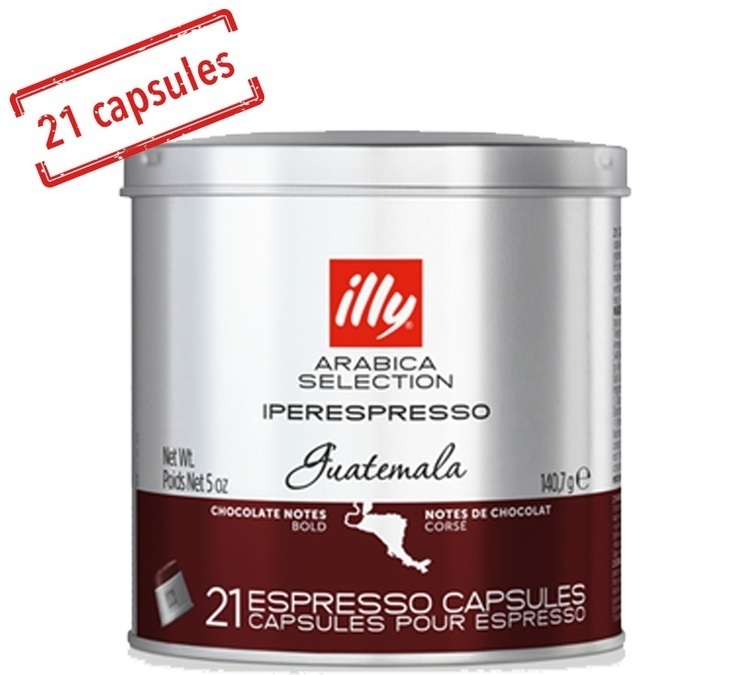 Illy Guatemala Iperespresso capsules compatible with domestic Iperespresso machines (X7.1 - Y1.1 Touch - Y5 - Y3 - X8 - Gaggia Iperespresso). This pure origin coffee from Guatemala is characterised by a balanced taste, with notes of chocolate followed by seductive aromas of caramel, citrus fruits and honey. 1 box of 21 Illy capsules. 3 boxes of 21 Illy capsules.